Preventive risk mapping is an effective instrument to help road authorities reduce the number of road traffic crashes and injuries, because design standards alone cannot guarantee road safety in all conditions. iRAP surveys have now been undertaken by partners in more than 95 countries worldwide. Over 1,300,000km of roads have been risk mapped and more than 940,000km of roads have now been star rated. However, a startling 45% of motorists and 85% of pedestrians still travel on roads rated two stars or under according to the World Health Organization's 2018 Global Road Safety Status Report. For more information on iRAP, please visit https://www.irap.org/. 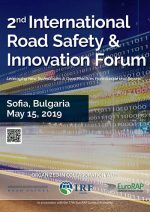 This new course, jointly delivered by the International Road Federation and the International Road Assessment Program will assist road safety professionals translate risk mapping and road safety investment plans into treatment strategies and actionable measures on their road networks. 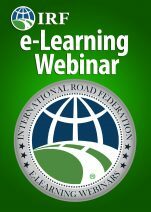 This course, jointly delivered by the International Road Federation (IRF Global) and International Road Assessment Program (iRAP) provides comprehensive resources and instruments for road professionals involved in road safety design and investment decisions. 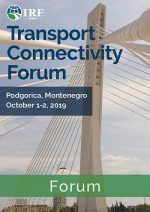 Its chief goal is to ensure the findings of iRAP surveys, as well as road safety audits and inspections are translated into prioritized road safety upgrades. As the road industry’s most trusted brand in continuing education, the IRF provides road professionals with educational opportunities that are recognized worldwide by engineering and transportation societies. 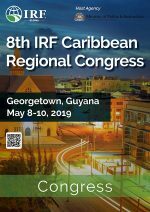 IRF’s Global Training Curriculum provides technical expertise in classroom and practical settings where attendees can learn from and have direct access to seasoned professionals. 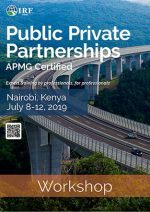 Each course is designed to assist attendees in learning to correctly apply the knowledge gained and provides the most relevant, up-to date information on best practices and technological solutions. 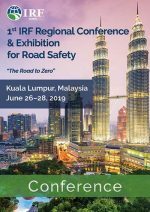 IRF Executive Seminars are specifically developed to meet the needs of road executives. 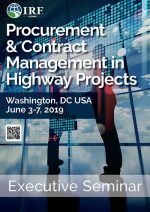 Whether you are a representative of a highway agency, a member of a financing institution, consultant or contractor, IRF Executive Seminars will give you the necessary tools to deliver improvements to your organization. As the IRF Chairman, I encourage you to make the most of these opportunities and help fulfill IRF’s vision of better roads for a better world. 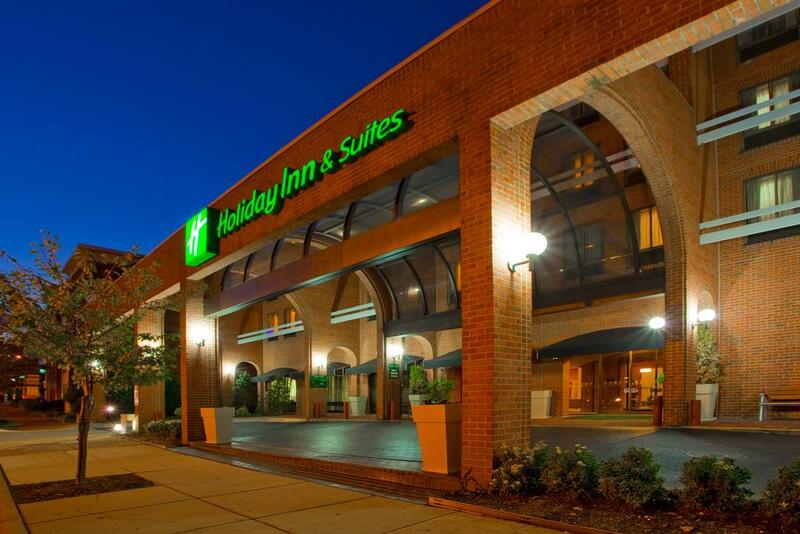 A special room rate of US $169/night, Junior Suite rate of US $199 has been negotiated at the Holiday Inn and Suite, located just one block from the Training Institute. 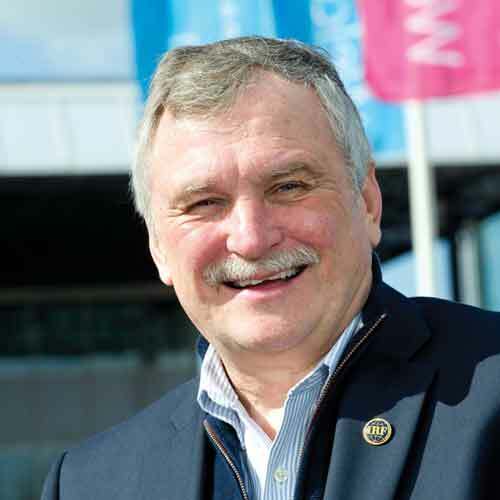 Michael G. Dreznes assumed his current position of Executive Vice-President of the International Road Federation (IRF) in February of 2012. Dreznes has spent the last thirty years working to make the roads safer around the world. 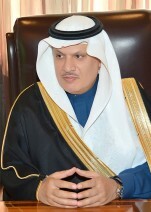 He is recognized as one of the world’s leading specialists on roadside safety promoting the concept of “Forgiving Roads,” and has conducted multiple road safety training seminars on roadside safety, work zone safety, vulnerable user safety and road safety audit in more than sixty countries around the world. Dreznes is the Co-Chairman of the Transportation Research Board (TRB) AFB20 (2) Roadside Safety SubCommittee on International Research Activities, Co-Chairman of the United Nations Road Safety Collaboration (UNRSC) Decade of Action Pillar 2: Safer Roads and Mobility Project Group, and a member of the PIARC Road Safety Technical Committee 3.2 Design and Operation of Safer Road Infrastructure. In January 2015, Dreznes was named the winner of the TRB AFB20 Roadside Safety Design Kenneth Stonex Lifetime Achievement Award. 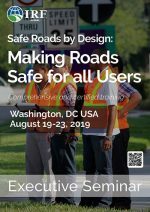 Greg Smith is Managing Director of the strategic projects division of the International Road Assessment Programme (iRAP), a UK-based charity dedicated to creating a world free of high risk roads. Greg is responsible for leading iRAP projects globally, including in the Asia Pacific, European, African, Middle Eastern and Latin American regions. Greg works closely with governments, multilateral development banks such as the World Bank and the Asian Development Bank, non-government organisations and industry to Star Rate roads for safety and identify cost-effective life-saving treatments. 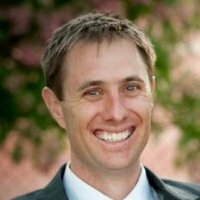 Prior to joining iRAP in 2008, Greg was research manager for the Australian Automobile Association and traffic and transportation manager at Kogarah Council in Sydney, Australia. Greg is part a team that received the Prince Michael International Road Safety Award (2014), and also a recipient of the Institute of Transportation Engineers ITEANZ Emerging Professional of the Year Award (2010) and the Roads Engineering Association of Asia and Australasia (REAAA) Katahira Award for Best Technical Paper (2009). Greg holds a bachelor degree in civil engineering and masters degree in public policy.